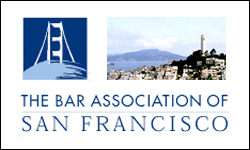 On 13 August 2014 I was privileged to be invited to speak at the Bar Association of San Francisco at a conference entitled ‘Justice Defeated: Bangladesh International Crimes Tribunal. The conference was chaired by Almudena Bernabeu from the Center for Justice and Accountability (http://www.cja.org) and took the form of a Q & A with Beth Van Schaack, former Deputy Ambassador and Senior Advisor to the US Office for Global Criminal Justice and visiting professor at Stanford University. I spoke from the side of the defence. The very fact that such an event had been arranged on the West Coast of the US demonstrates that there is real international interest in the current and past cases before the Tribunal. It is disappointing however that this interest has not peaked because of what is being heralded in Bangladesh as an example to the world as to how to conduct such trials, but rather, it has been peaked for the exact opposite reasons. It is clear from any viewpoint, other than the ruling Awami League party and its supporters, that the ongoing International Crimes Tribunal is very much an example of how such a process should not be done. It is notable that I concluded my remarks at the conference by quoting the former Bangladesh Foreign Minister, Dr Dipu Moni, when asked by Congressman Steve Chabot in 2013 about whether the Tribunal was in conformity with universally recognised standards of due process, she replied candidly “we are establishing new standards in Bangladesh”. It is clear that lessons are not being learnt by the Government of Bangladesh, although I must add that the point of no return has not yet been reached, and there remains a real opportunity for the Government of Bangladesh to genuinely set a new international standard for the right reasons rather than its current trajectory. It was recognised during the Q&A that it is beyond any reasonable doubt that during the 1971 War of Liberation, appalling atrocities were committed on both sides of the conflict. Exact figures are impossible to obtain, but it is clear that those murdered, raped, and displaced numbered in the hundreds of thousands, and potentially the millions. It is also clear that where there is evidence to substantiate charges against individuals these charges must be brought, and the judicial process followed. It is here however that there is a parting of the ways insofar as both international and my individual opinion contrasts with that of the Government of Bangladesh. Steps were initially taken in 1973 to deal with the allegations with a new piece of legislation being drafted and enacted that would allow a tribunal to be developed. Professor Van Schaack recognised that the legislation, the International Crimes Tribunal Act 1973, was a historic piece of legislation. It was the first real attempt following the Nuremberg and Tokyo trials and for the early 1970s it defined what was the law at that time. However, she recognised that it has not stood the test of time and it fails to stand up to modern day scrutiny in terms of procedural fairness, but at the time it reflected customary international law. In the immediate aftermath of what was a brutal and bloody conflict establishing peace and justice presented huge political challenges. Initially, it was the intent of the new Government of Bangladesh to put on trial 195 members of the Pakistani military – those identified as bearing the greatest responsibility for crimes committed during the nine month war. The Tribunal was established as a military tribunal to put on trial those 195 officers in the custody of India. It is also the case that several thousand individuals were put on trial under the Collaborators Act, a separate process. For a variety of political reasons this whole process was abandoned and a Tripartite Agreement between India, Pakistan and Bangladesh pledged to forgo a process of justice and accountability in the interest of lasting peace and stability. The victims of the 1971 conflict were consequently denied justice for the next four decades. Regrettably, no government during this time attempted to establish any system of reconciliation and the wounds of the conflict were effectively left bare and subjected to political manipulation by a number of military and civilian administrations. It should be noted that a number of international figures offered their support and assistance to Bangladesh. Ambassador Stephen J. Rapp, the US War Crimes Ambassador, drafted a lengthy letter to Bangladesh, highlighting where he thought amendments to the legislation should be made, and offering guidance for the process. Professor Van Schaack noted that the vast majority of these recommendations were ‘ignored’. International law has developed significantly since 1973. We have the Rome Statute and the International Criminal Court sitting in The Hague. We have the experience of the International Criminal Tribunals for the former Yugoslavia and Rwanda. It is fair to concede that all of these institutions came under attack in some form. Professor Van Schaack pointed to the process in East Timor as being at the bottom end of the scale and Sierra Leone at the top in terms of success. She considered that the hybrid tribunals were very much the preferred option and the Bosnian War Crimes Chamber being reflective of this. As someone involved in establishing the Bosnian War Crimes Chamber in 2004 this was a position that I very much endorsed. In fact, this is something that I have persistently raised – the Bosnian model is one that should have been followed in Bangladesh. Local judges and prosecutors working alongside international experts. However, as Professor Van Schaack confirmed, all efforts to reach out and provide expertise have been rebuffed and what we are left with, Professor Van Schaack confirmed, is an institution that will be completely lacking in any form of legitimacy outside of Bangladesh, as no-one is supporting this process in its current form. I noted in my remarks, by way of reinforcing this, that the International Center for Transitional Justice in New York had initiated a programme of providing technical support to the Tribunal, but due to concerns over its legitimacy, it abruptly ended its support in 2012 and has issued several statements of concern since then. As an international lawyer, it is most disappointing to say, irrespective of whether I appear for the prosecution or the defence, that the institution before which I appear, or seek to appear as I am barred from entering the country, did not seek to build on that already established platform and become an example to international criminal justice for the right reasons. I referred to a previous comment made by the Bangladesh administration when coming under criticism for the lack of adherence to international standards they noted that they were “setting a new standard”. The statement is factually correct, however, it is not a standard that should ever be followed. Even without commenting for the moment on individual cases and the wholly inappropriate decisions made, the more general mechanisms of the court themselves fall foul of international standards. For instance, the legislation bringing about the Tribunal explicitly states that all rights afforded to a defendant during the normal course of a criminal trial, do not apply to those brought before the tribunal. From the outset, and before a witness statement had been drafted, there is a clear indication that the intention of the Tribunal is to secure a conviction, and not to seek justice for those hundreds of thousands that deserve such an opportunity. It is telling that the moderator of this particular conference Ms. Almudena Bernabeau said that she was ‘open mouthed’ at the continual degradation of this process. Due to the shortness of time, I was not able to spell out the litany of procedural concerns with the trials. I focused on some of the more egregious examples of lack of due process. For example, I highlighted the fact that no one who fought on the side of the victors, namely freedom fighters, could ever be charged with an offence under the Act. The defence were prevented from challenging the appointment of any judge or challenge any interlocutory decision issued by the Tribunal. Further, all fundamental rights contained in the Constitution were removed for anyone charged under the Act. These were mere examples of which they are many. I highlighted the case of Abdul Quader Mollah who was executed in December 2013. The Government amended the legislation, following public protests, to enable the prosecution to appeal against a sentence of imprisonment and seek the death penalty. Such a step is unprecedented and in breach of the international treaties to which Bangladesh is a State Party. This process was further aggravated by Sheikh Hasina openly stating in Parliament that she would explain to the judges ‘the will of the people’. The new legislation was rushed through. The prosecution appeal was heard by the Supreme Court, who overturned the previous decision and imposed the death penalty. Abdul Quader was then promptly executed despite the protests of John Kerry, Ban Ki Moon, William Hague and UN High Commissioner Navi Pillay. The criticisms of the tribunal by eminent professionals, and international NGOs are too numerous to mention. The instances of actions falling way below international standards are also too numerous to mention in their entirety, ranging from refusing to allow defence witnesses to give evidence, the kidnapping of a witness in front of the Tribunal, the serving of the prosecution case just 3 weeks before the trial commenced, the rule that defendants must make a specific application to see their counsel, often resulting in defendants only being able to have 3 conferences before the proceedings were brought to a close with sentence. One of the preliminary questions raised in the conference was whether Bangladesh has been praised for initiating a process aimed at removing impunity. It was duly noted that the Government of Bangladesh was lauded for its initiative. However, it is the process that is under scrutiny not the principle. When the Government of Bangladesh rebuffed the UN’s offer of technical assistance in 2009 and decided to go it alone there was a great deal of pressure on the Government to ensure it was done properly. It was not. The statements of support soon turned to scepticism and now the Government of Bangladesh finds itself holding on to a process that is devoid of legitimacy and international support. As noted at the outset, there was a real opportunity for the International Tribunal to be a positive example of International Criminal law to the world, it is in fact now the opposite and there does not appear to be any sign that there will be any change. It is not too late however, the situation can be rescued and the International Crimes Tribunal of Bangladesh can still be seen to be a positive example, however, the Awami League and the Bangladeshi Government must listen to what is being said and not take selective quotes from speeches or mislead the people by suggesting that model being used has international support. The trials must now be stopped and started afresh, with truly independent judges, truly international oversight, and the overarching principle being one of justice and truth, not politics and revenge. The only positive element is that the international community are seeing the tribunal for what it is, a travesty, or parody of justice. From the San Francisco Bar, to the New York Bar, from parties in the UK and the EU. The example of what not do to has clearly been seen.